Home / Automotive / News / Fernando Alonso's Museum – And A Rolls Royce Collection! 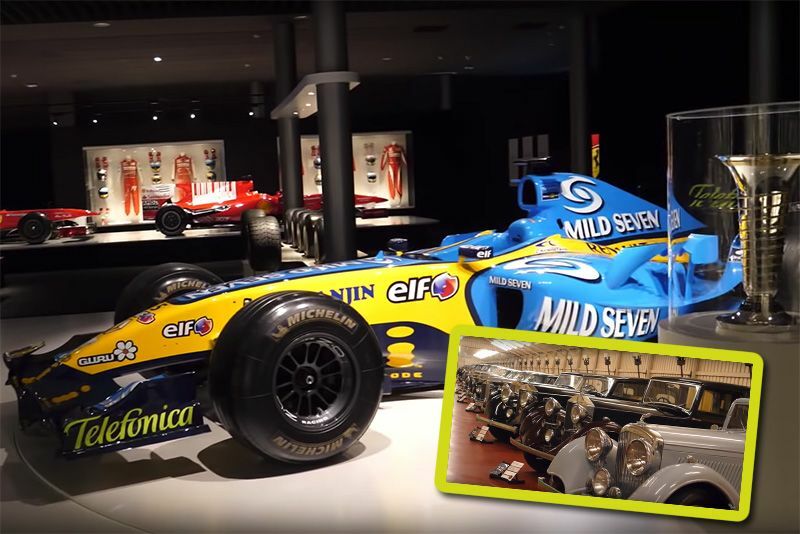 It's a two-for-one special in this video where our host visits the biggest Rolls Royce collection and then "nerds out" at Fernando Alonso's museum of racing cars. This is a tale of two vastly different interests. First up is a museum that has at least one model of every Rolls Royce produced between 1907 and 1997. Just think about that for a second... there are cars here from before World War I. Which may not interest you that much but seeing these vehicles so painstakingly looked after surely deserves a tip of your hat. If the Fernando Alonzo museum is more your vide then skip to the 7.00-minute mark. This is an astounding collection of cars, racing suits, helmets and trophies from his early days in carts to his time in Indy Car, spanning decades. You may not like the man, but this is still a trip down memory lane for any F1 fan out there. Seeing every one of his cars from multiple manufacturers under one roof is something special. So, what are you waiting for? Hit play and enjoy the contrast of the very old and very new in this video from Seen Through The Glass.